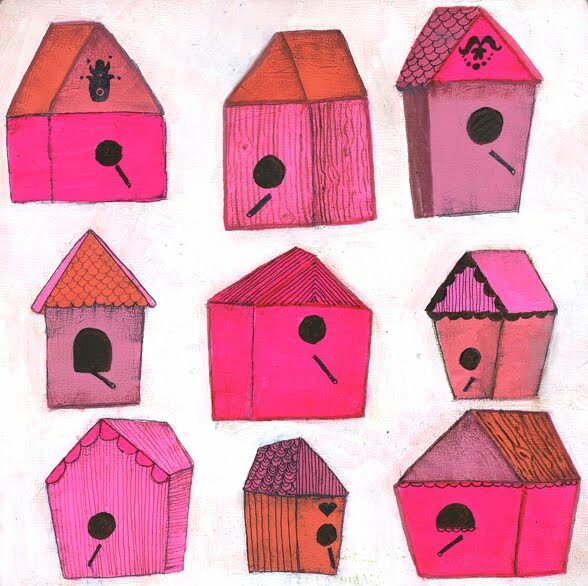 Pink birdhouses (to brighten your Friday). perfect contrast to the gray outside! thanks! Pink bird houses - what a cool thing to collect! I look forward to peeking at your site every day. Love your bright pink color choice. Thank you! I love birdhouses. These are definitely my faves. What great birdhouses and wonderful colors. Thank you for letting me visit. Makes for a gorgeous iPhone wallpaper! Love your project.